Although Papplewick is 126 years old the Station has great relevance to our modern world, to our need to understand much more about water in the environment and its use in a sustainable way. 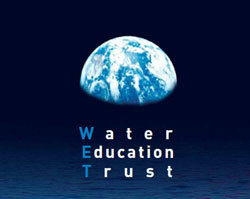 To facilitate this, the Trustees of Papplewick Pumping Station have established the Water Education Trust (WET) project. The Trustees have a vision for the Station to become a regional centre for water education and heritage, the home of WET. The vision for the project is to explore the ‘Think Global, Act Local - how can I make a difference?’ agenda based on the principles of Local Agenda 21, through a range of experiences that makes education fun and engaging as well as making academic research accessible to the wider public. At the WET project’s core is the objective to broaden people’s understanding of fresh water provision and to convey the need for society to manage its water usage in a more economical and sustainable way. Fresh clean water is as important now as it was in the Victorian era and its importance is likely to increase into the future as we use more and more of this finite resource. This website and its contents forms part of the Trustees’ commitment to education and water and the desire to sustain this most essential of resources for generations to come. Click on the Water Education Trust logo opposite or to find out more about the project and use the menu on your right to learn more about water supply, how we use water and the crucial need to conserve it.